James Monroe did not live on a huge estate like Washington or Jefferson, but Monroe’s house definitely had its own uniqueness. Monroe, being a good friend to Jefferson, wanted to move near Monticello so he bought some property about two and a half miles away from Jefferson’s estate. He had no sooner purchased it, however, than Washington appointed him minister to France. Happily, Monroe and his family left Virginia – but not wanting the land to just sit there, he asked Jefferson to find a good spot for the house and to make plans for its construction. Jefferson did so. He chose a spot high on a hill so that Monroe could see Monticello in the distance. 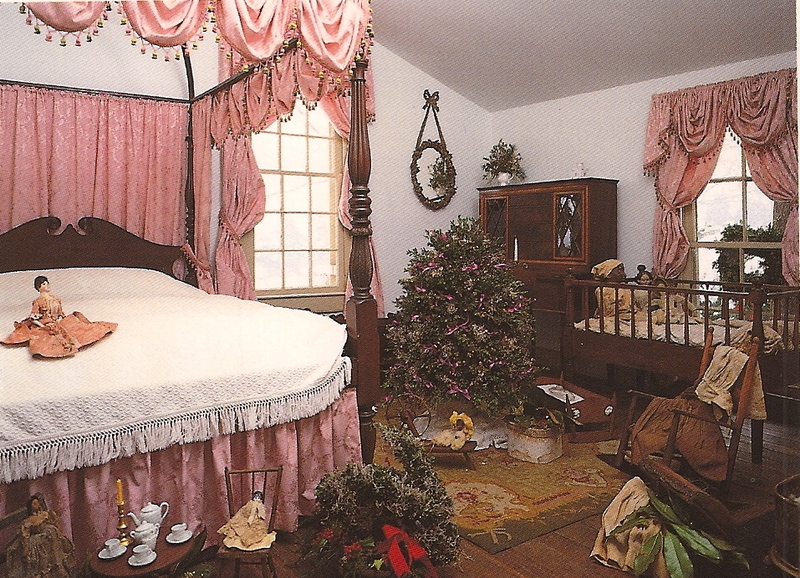 Then Jefferson planned the doorway of the house, but instead of it being a normal door, he built it too small for a normal person to walk through – in other words, you need to bend over to go through the door – literally causing anyone coming out of Monroe’s house to “bow” before Monticello. Monroe called the house Highlands. Later it was called Ashlawn and is now usually called a combination of the two. Meanwhile, there were problems over in France – not that Monroe didn’t get along with the French, but that he was getting along with them too well. In fact, Washington called him home because of his friendliness, but sent him back again at which time he made the Louisiana Purchase. Monroe considered this his biggest achievement. Naturally, furniture in the White House and at Highand/Ashlawn was also French. The American people loved elegant, but down-home Dolley Madison and Elizabeth Monroe’s above-it-all attitude simply did not sit well. They didn’t like that she replaced Dolley’s White House furnishings. When you tour Ashlawn, you see a rather small farmhouse decorated as a French chateau. (Only the white part in the picture above was the original house – the two story addition did not come to long after Monroes sold the house.) Objects on display include gifts from Napoleon’s daughter. Unfortunately, by the time Monroe left the White House, he was $75,000 in debt and had to sell his beloved house. For the next several years, the house had several owners, but in 1863 was purchased by a Baptist minister named John Massey. (Hmmm … I’ll have to check into that.) He is the one who built the two story addition for the purpose of educating newly-freed slaves. Then in 1930, the Massey family sold it to a businessman, Jay Winston Johns who began restoring it and collecting Monroe furnishings. The home is now owned by the College of of William and Mary. 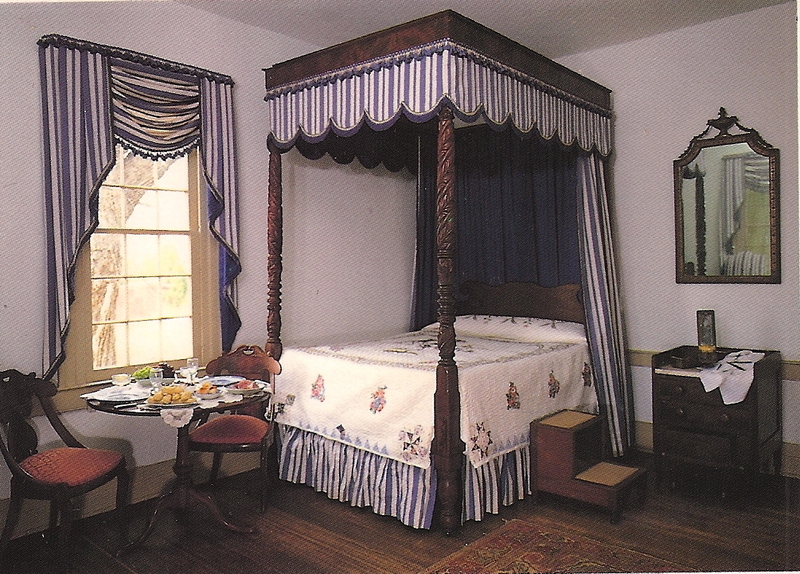 One of the pieces of original furniture is a desk given them by James Madison, who was best man at their wedding. We visited Ashlawn the same day we visited Monticello.